Search for bungalows in the Edmonton area. 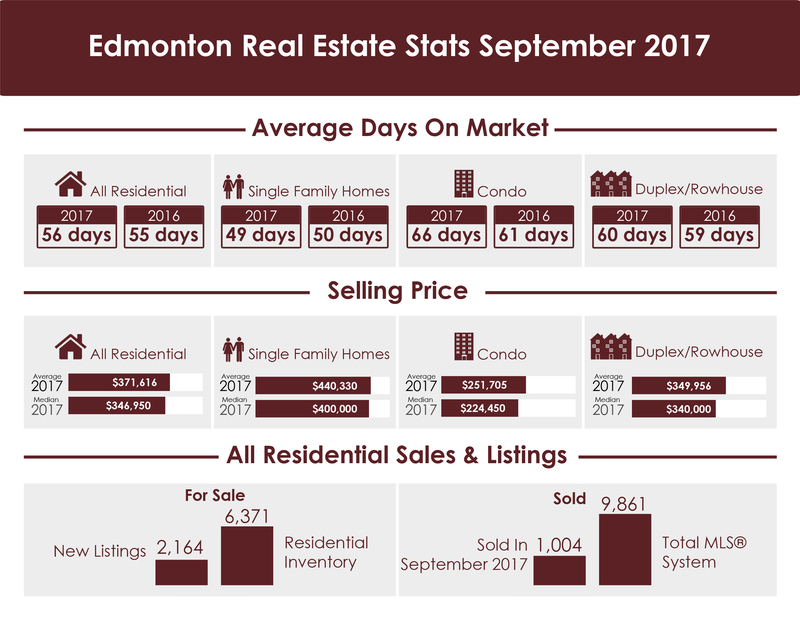 "Average prices are remaining stable, however sales are slower than typical for this time of year,” says REALTORS® Association of Edmonton Chair Darcy Torhjelm. 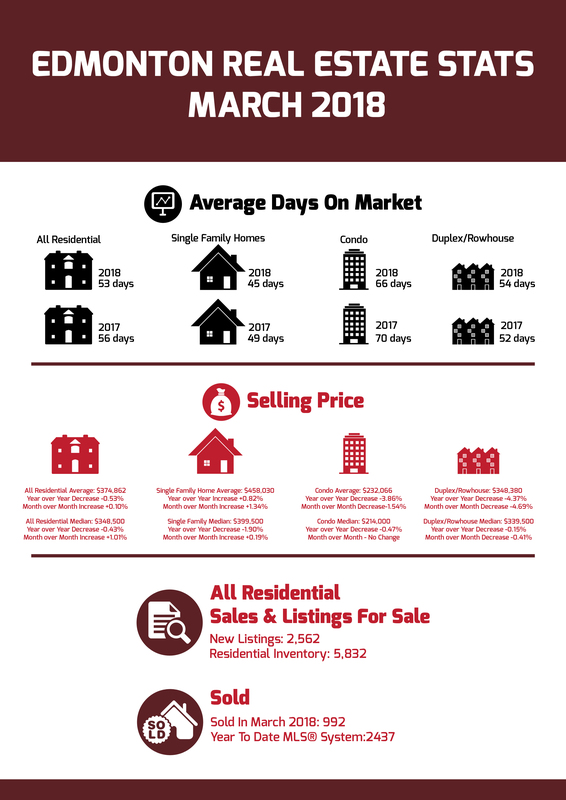 “With increasing inventory and days on market, couple with decreasing sales, sellers will need to be patient and consider their homes’ competitive advantages to stand out in the current buyers’ market." Average days on market for all residential properties was 61 this month, up 5.17% over last month and unchanged from last year. 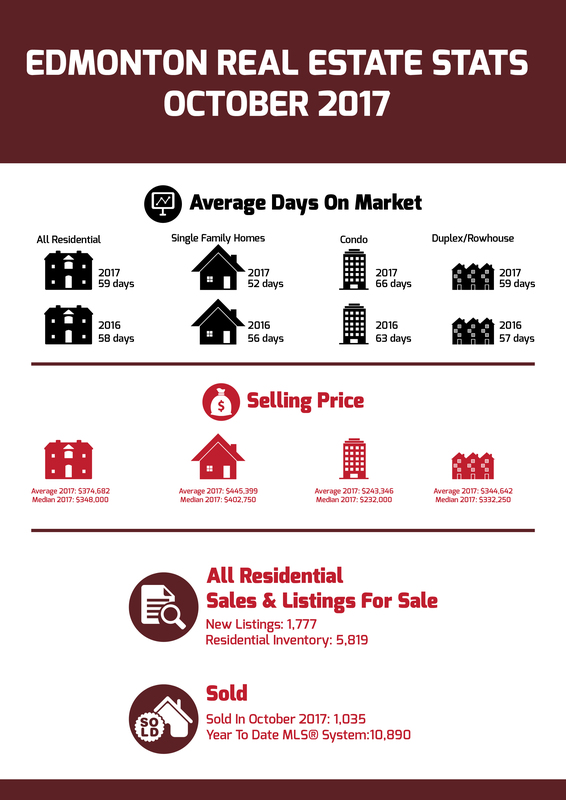 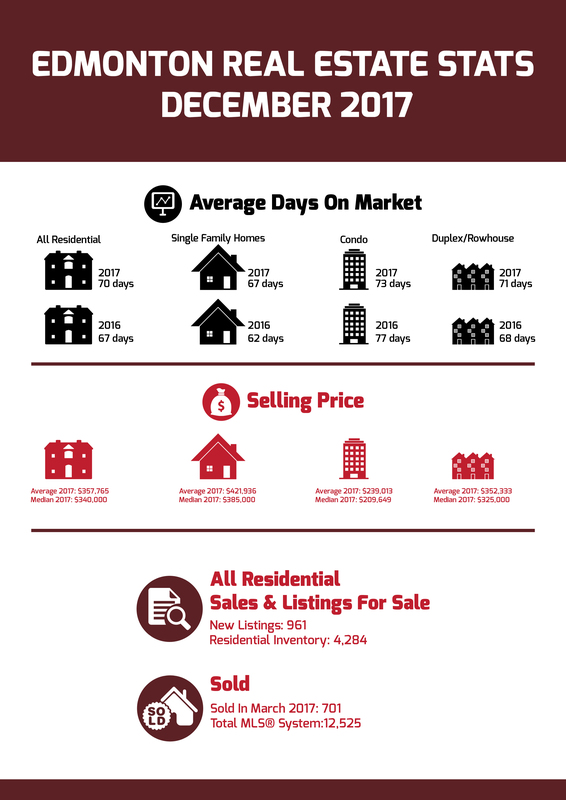 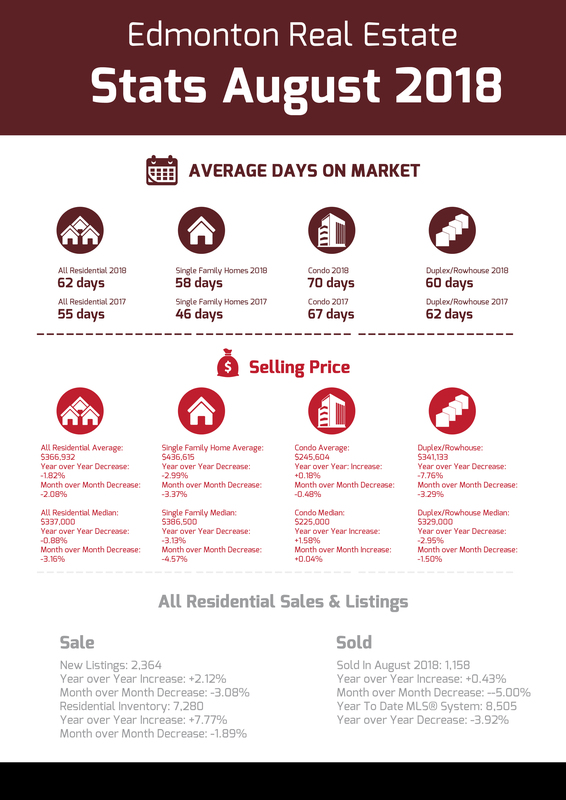 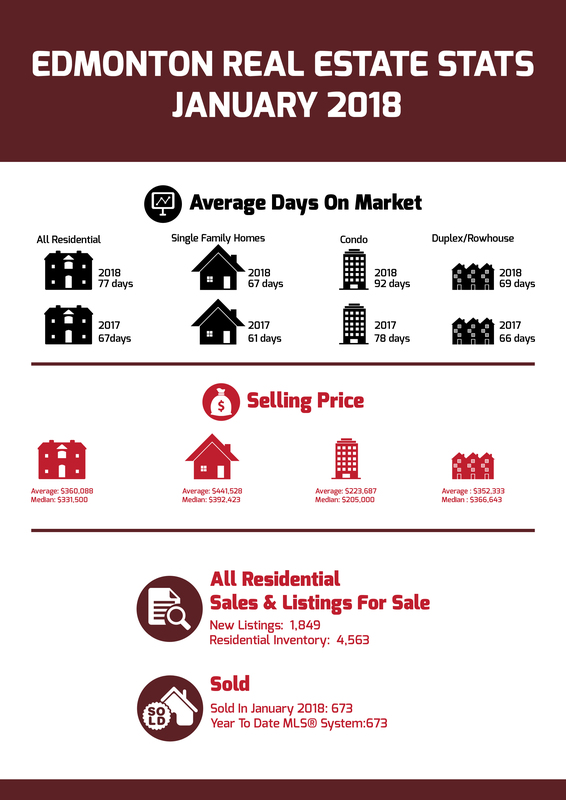 Single family average days on market was up to 55, condominiums were averaging 67 days on market, and duplex/rowhouses took an average of 61 days to sell in October. "Once the distractions of summer are over, the market usually picks up with buyers looking to move in to a new home before the snow flies", says James Mabey, Chair of the REALTORS® Association of Edmonton. 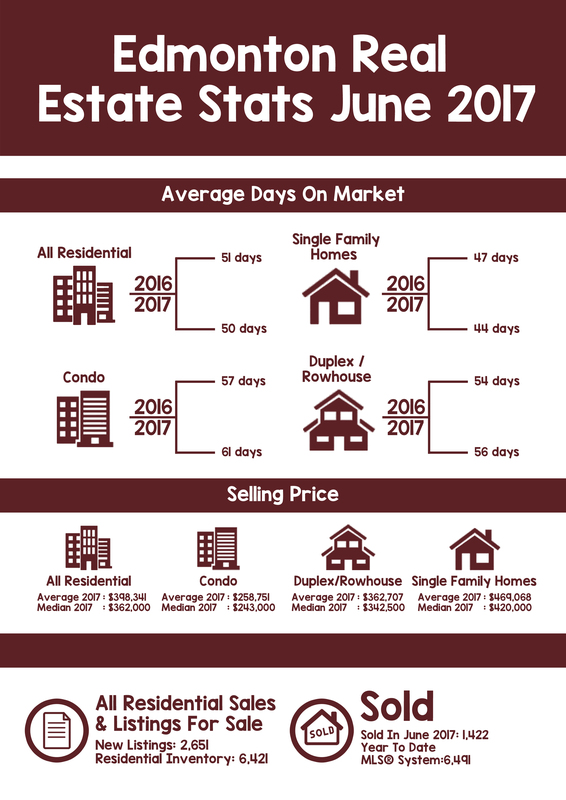 "However, it is possible we didn't see a strong performance for unit sales this September because the Bank of Canada raised interest rates twice this summer, putting some downward pressure on buyer purchase intentions. Despite this, consistent average sale prices last month throughout the Edmonton area (and across most property types) suggest the local market enjoys continued health." 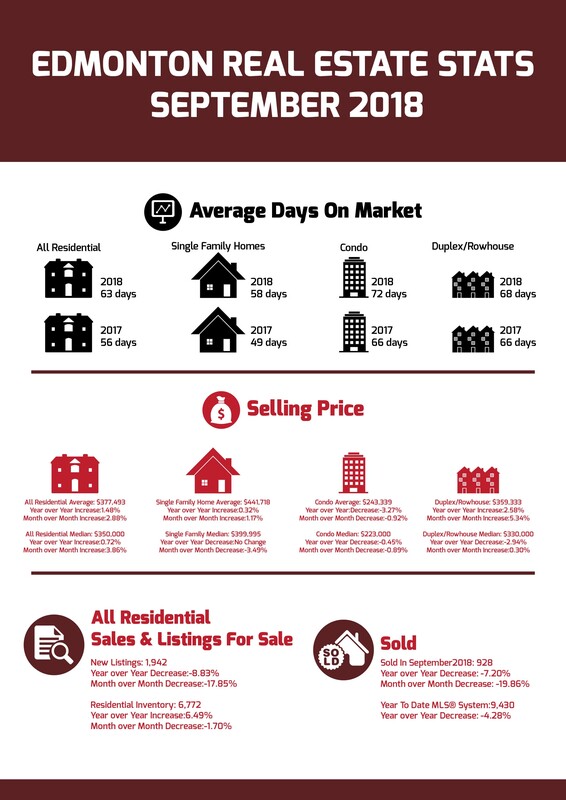 Month over month, unit sales volume was flat or down across all categories, which is typical for the month of August. 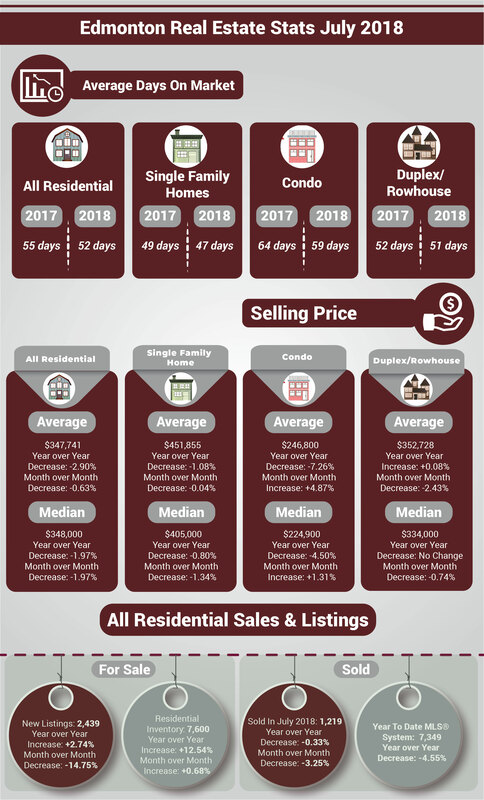 “Price conscious buyers appear to be turning their attention to semi-detached product as opposed to condominiums for the best value. Changes to mortgage rates and qualifying rules seem to be keeping the entry level market a bit quiet and those that are taking advantage of the amazing selection are very value conscious” says James Mabey, the REALTORS® Association of Edmonton Chair.